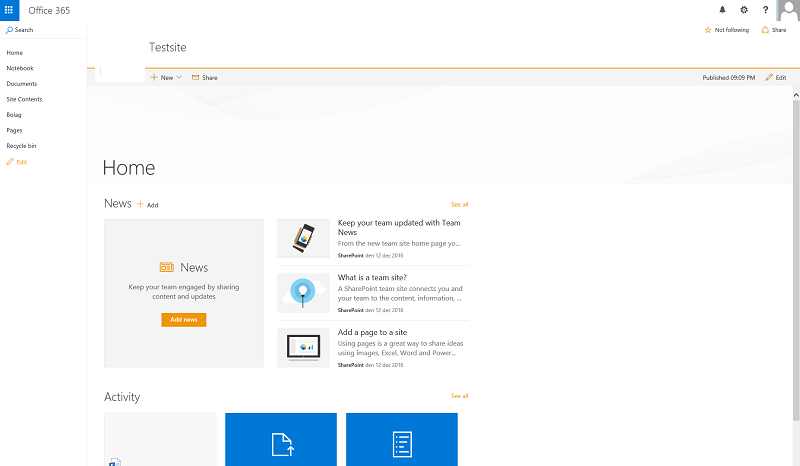 In my regular team site the home.aspx page is not updated to modern automatically. But if I create a new modern page it gets a large header field with the page name (see below). Quite ugly indeed. Is there a way to get a front page that looks like a group team site on a regular team site? Ie without the large gray page name field and a wider news web part (notice the width difference of the news web part on the group team site compared to the regular team site in the pictures below). The first image in this article show a group team site. It has a webpart that displays three news items in a row as cards. I can't find a news web part that show three card items in a row as shown in the article? 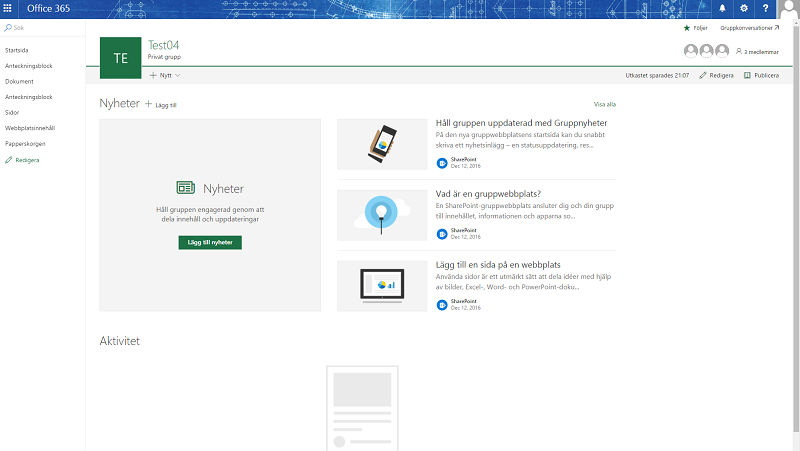 Browse other questions tagged sharepoint-online modern-experience or ask your own question. How to display list content from a different site on a modern page?